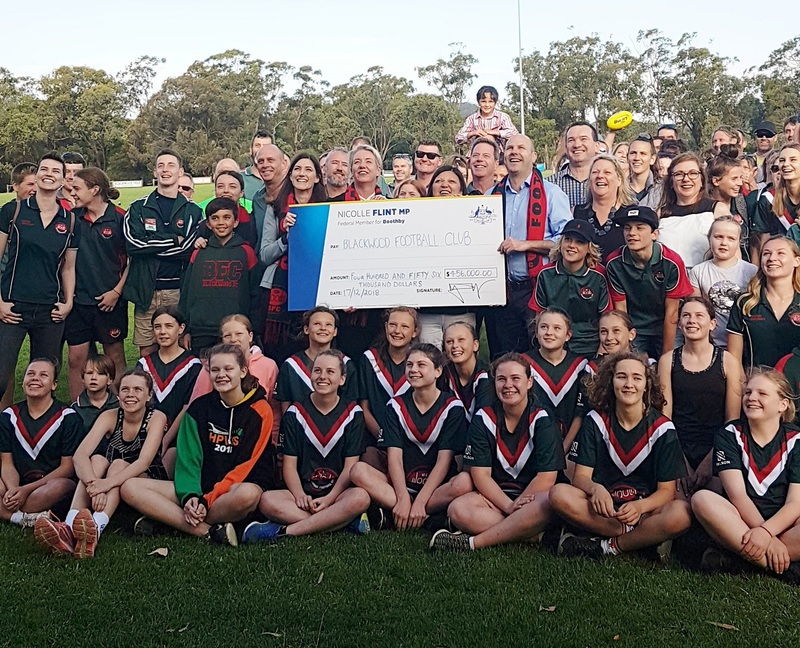 The Blackwood Football Club is excited to announce it has been successful in its application for funding to build new unisex change room facilities at its home ground, U-Install-It Kitchens Oval in Blackwood. 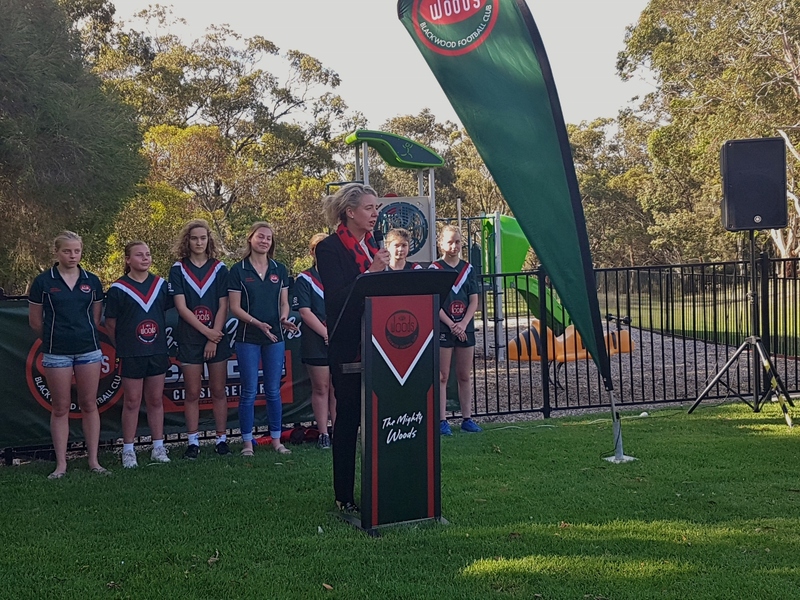 In front of a large gathering of players, sponsors and supporters on Monday evening, federal minister for sport Bridget McKenzie along with other representatives including federal local member for Boothby Nicolle Flint, state member for Waite Sam Duluk, Major of Mitcham Council Heather Holmes-Ross and several councillors, announced the Woods were one of 21 successful applications across of South Australia. 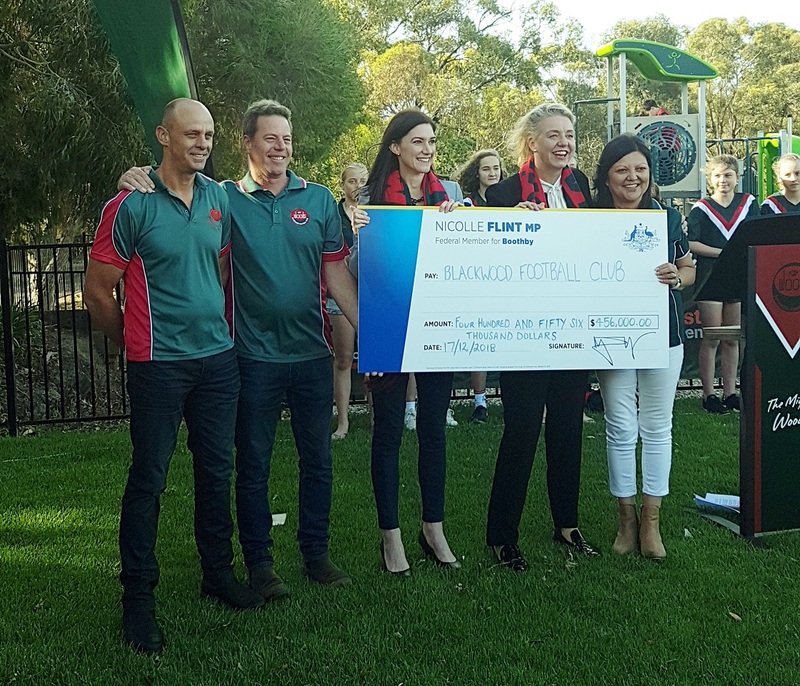 The funding will allow for the construction of new unisex facilities on the northern end of the clubrooms which will help to cater for an expanding football program which saw the club provide opportunities for hundreds people in the community to participate in the game of Australia Rules Football. 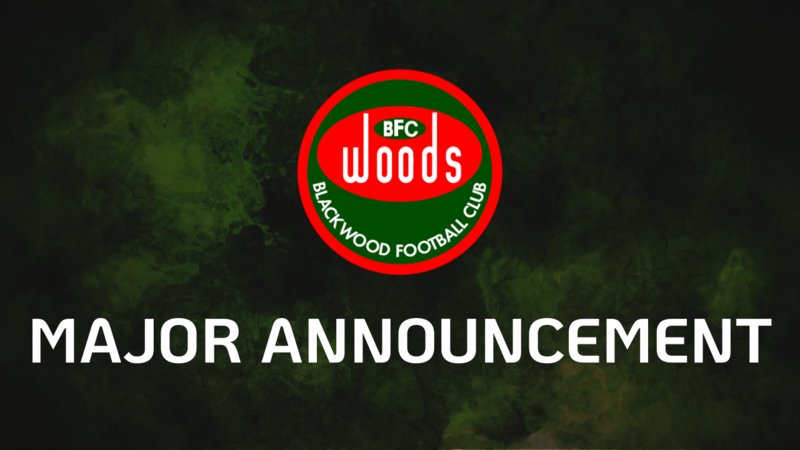 In Season 2018, the Woods fielded 20 teams (including five girls teams) and is expecting the further expansion of women’s football in 2019 with the introduction of an open women’s side. Keep an eye out for further updates of the project in the future.